Mindfulness for Change is a network of people and communities committed to serving human experience by facilitating relationships with self, other people and the world. We support each other to develop projects and relationships that benefit the wellbeing of people and planet. How Does Mindfulness Contribute To Change? Mindfulness and related contemplative and embodied practices, such as yoga and tai chi, involve a skilful means of paying attention to our own experience. Through regular practice, we may develop insight, emotional regulation skills, build our empathy muscles, unlock our innate compassion, and become aware of and integrate broader perspectives. We build personal resources and social connectedness, which helps to increase our ability to impact the world in a positive way. Mindfulness can be understood as more about unlocking or revealing change. In our society, we are often so busy that we get locked into survival mode, and reactive fight or flight states of mind. Practicing mindfulness can help us to de-identify from our reactive or egoic mind and connect with parts of ourselves that are naturally good and kind. This doesn't come from trying to be good, but more removing the obstacles that get in the way of our natural goodness being expressed. Caroline Taylor - How Does Mindfulness Contribute To Change? Justin Connor - How Does Mindfulness Contribute To Change? Andrew Morrison - How Does Mindfulness Contribute To Change? Elizabeth Connor - How Does Mindfulness Contribute To Change? Peter Jacobson - How does mindfulness contribute to change? Where does Mindfulness for Change come in? What we have found is that many people with a practice naturally tend to connect with parts of themselves that want to serve others, to serve wider change, and to share the benefits that they feel inside. Mindfulness for Change is designed to serve people who are connected with that heartfelt intention to do some good in the world, and help you to connect to like-minded people in community. As a community we're in a process of learning to support each other in the work, or to find whatever the work is for us. The work could be hugely diverse - there are so many ways of making change. This is reflected in the upward spiral logo, which among other things represents moving from the individual practice and awareness to engagement with the world, creating and serving a huge diversity of change in the wider world and spiralling back around to keep practicing and growing as this happens - change is not a straight line. Mindfulness for Change hosts online and offline spaces for community to form. It's an open and inclusive community, and everyone is invited. The invitation is to bring your energy, an attitude of openness, whatever gifts you already have, and to meet people. You won't be told or spoon-fed what to do, but support is there for those who seek it - be proactive, prioritise relationships and getting to know people to start with, and ways to contribute will become clear. How do I engage with Mindfulness for Change? Mindfulness for Change is a community. Community is about participation, and you will find opportunities to contribute if you get to know people. Come to a Hui or Meetup, join the Facebook Group, and read stories from the community on Medium. Email team@mindfulnessforchange.co.nz and tell us what brings you here, what you do, and someone will connect you with someone from the community to meet face to face. Signup to the Newsletter (at the bottom of this page) and you'll receive an "Intro to Mindfulness for Change" email series with more information about MfC, how it operates, and ways to make change in the world. Who is Mindfulness for Change? I am a listener, facilitator and clinical psychology student. I'm currently completing my internship in Taranaki and finishing up my doctoral thesis on mindfulness, wellbeing and climate change. Work with fellow MfC contributor Michael Smith on a social enterprise creating companion apps for Mindfulness-Integrated Cognitive Behavioural Therapy and other mindfulness programmes. I'm interested in change at all levels, from one-on-one relationships to small groups, high performing teams, restorative communities, Teal organisations, non-hierarchical networks, social movements, and media/politics. Working with others on setting up the commons of MfC so that as contributors we can all contribute our gifts at whatever level we are pulled towards - and do so in a way that's fun, effective, and makes us come alive. Also a keen hockey player, cricket watcher and bedroom DJ. I am a change-maker, systems leader and committed meditator. I'm passionate about system transformation and I've been a host for the Presencing Foundation Program in Perth and I'm co-convening the Wellington ULab hub. I'm a local coordinator for the climate action group 350 Aotearoa. I've spent many years as a policy manager and lawyer for government. Mindfulness has been transformational for me. I believe if many of us bring the greater awareness we gain from mindfulness to our interactions with each other we will be able to change society's systems to benefit us all. I am an explorer in every sense of the word. I’m driven by an endless curiosity about people and the world around us. My work has been varied and interesting over the years, from engineering to psychology and it has taken me around the world and brought me to manydifferent people. As a consequence of watching and learning, I have developed a clear understanding of where people source their happiness. Everyone’s happiness and growth comes from the present moment – whether you are just starting out or at the end of your life – everything good comes from standing in your truth and just being there as much as possible, even when it is uncomfortable. This is not always easy, but worth the persistence required. Overall, my role in the world is to encourage people to be fully themselves and to share their personal gifts with those around them, without fear. People all carry a golden core of light and love and it is our sacred duty to help that shine through. I get to do this both in my work as a business change consultant and as a mindfulness coach and I'm grateful for that. Meredith Youngson began her career in medical microbiology but expanded her health roles to leadership in the interface between community and health authorities. She has a long history in community development and was a founder and community coordinator for Waitakere Health Link, a grass-roots organisation that brings the community voice to healthcare planning and decision making. Most recently she was a community broker and relationship manager for Project Twin Streams in Waitakere City, a $60million environmental restoration project. As Co-Founders of Hearts in Healthcare, Meredith and Robin work together on organisational strategy, movement building, consulting and workshop facilitation. Their work has taken them to fifteen countries. Happily married for 36 years they have three grown up daughters and two gorgeous grandchildren. I am an oxytocin co-creator, I work with individuals and groups in many settings to help them feel calm, grounded, confident and nurtured. I teach yoga for communities and businesses. I facilitate an engineering empathy programme for the students at Dev Academy which is fast becoming an offering for other teams. I assist parents in their journey through birth as a Doula (which is kind of like a sherpa). I am also a massage therapist. I am passionate about individual change becoming global change and how we can make that leap together. I believe the work has to start from within but it cannot end there, we must go out into the world and create the change we want to see. I love to dance and sing and make joy! Laughter is my medicine and I love to play to relax. A playful artistic scientist trained as a Clinical Psychologist. I believe the answers to many of our questions can be found at the edge, and we only make progress when we push through our comfort zones. Currently my focus is on creating a Youtube series called Tough Talk, which is dedicated to a mentally well and flourishing New Zealand. I have practised and taught mindfulness in an array of settings from Enspiral Dev Academy to Kiwiburn, and have worked as a therapist at an inpatient hospital and privately at Healthfit Collective. I have created content for wellbeing campaigns and programmes including the Mental Health Foundation of NZ, Coliberate, and The New Zealand College of Clinical Psychologists, I'm learning graphic design and marketing, and I'm now an aspiring film maker. I also love to recite poetry and get loose on the dance floor. I help people and organisations to understand and navigate complex change. I’ve worked in strategy consulting and management roles here in NZ and overseas, generally with government agencies such as the Ministry of Health. I’ve also been involved in the advancement of more sustainable and integrated approaches to regional development. I believe that many of the global and local challenges we face could be resolved through greater empathy and compassion. Personal experience of meditation and mindfulness has heightened my understanding of self, and significantly enhanced my connection and engagement with the world around me. I’m interested to explore how we can work together in mindful and creative ways that to begin to create a better future; one in which we value the environment and the diversity of human experience. 50% of Kiwi's aren't feeling awesome. We have the highest suicide rate in the OECD. Our work & learning environments have a massive impact on us - with Heartwork I'm enabling these environments to be enlivening for all through creating a playful, honest national culture of awareness, sharing & response to feelings, beliefs & needs. 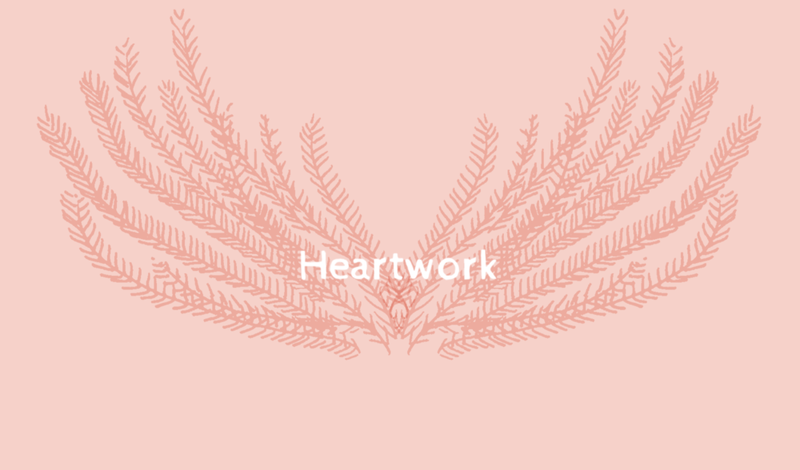 Drop me a line to peter@heartworkhq.com to have a chat - I'd love to hear your story and questions. I am a facilitator who loves to cook. I help individuals, leadership teams and community groups to design their futures (sometimes referred to as 'strategy'). I've worked on most continents with the UN, NGOs, governments, indigenous communities, social enterprises and big old corporates. I've recently returned to Aotearoa - my home - to see how I might be helpful in ushering in 'the more beautiful world our hearts know is possible' (thanks Charles Eisenstein). Meditation, yoga and journaling are my lifeline, helping me daily to re-discover my quiet self and listen to my inner-knowing. My Mindfulness for Change friends are constant companions, ever-inspiring me to more deeply find my own joy whilst navigating my social and working life toward the well-being of others. How good is that? I am interested in holding space for healing and liberation. My work as a secondary school English teacher is a great place to start! I believe whole-heartedly in the power of story, and the changes which are possible when we begin listening for and telling different ones. For this reason I seek authentic voices among the babble. As an ex-Steiner school student, I think that integration between art and science is key for stepping sideways into stories which serve the planet better. Through walking the path of engaged Buddhism, I continually come to know the world more compassionately. This journey has been painful and wonderful, guided by teachings received at the Wangapeka Study and Retreat Centre. I have helped facilitate retreats for young adults there, and am interested in the Mindfulness Aotearoa and other organisations bringing meditation to schools. I am also involved with Women's Group work. My mates at Mindfulness for Change keep me grounded and seeking wisdom, while buoying my confidence in the human capacity for humour and gentleness in the face of suffering. Contemplative practice interweaves the three aspects of my career in which I have worked as an artist, community developer, teacher and researcher. In my early work as a performance and video artist I explored the ways my trance videos could induce relaxation. This led to postgraduate research into the impacts of environment on health, and then to a community arts practice in which I facilitated arts-based self-development courses that included contemplative practice. After finishing a contract facilitating health education programs in Papua New Guinea where I also used creative and contemplative practice I completed an interdisciplinary PhD focused in Contemplative Education for which I received an Australian government scholarship. My PhD, which examines pre-conceptual experience in contemplative education, is the first of its kind in Australia, and led to contract research and teaching in contemplative education, transformative learning, contemplative ethics, law, mathematics and art, and mindful leadership. To learn more about contemplative education you may like to visit my website: www.thecontemplativeacademy.com, please feel free to contact me on p.morgan@unsw.edu.au. I feel very lucky to be a part of MfC and am committed to its aims and values, particularly learning together to affect change through contemplative practices such as mindfulness. I am a counsellor and meditation teacher with over 21 years experience in private practice. I currently have counselling practices in both Lower Hutt and Kapiti. I work with individuals and couples. My counselling has two primary components that intertwine throughout the counselling, mindfulness meditation and narrative therapy. My counselling is about encouraging the people I work with to become more emotionally agile - where they can create a space between stimulus (their hooks and hidden agendas) and their responses. I encourage clients to name and unpack their emotions, to observe and feel them in a new self compassionate light. As people learn to stay with and keep their emotions company, rather than avoid them, they become more resilient and able to cope with both current and past events. Meditation became part of my life, when I attended the Gawler Cancer Foundation, Living with Cancer programme in the Yarra Valley in Victoria, Australia, in 2004. Mindfulness meditation allowed me to cope and stay present as I faced my wife Karen’s death from Breast Cancer and to then engage with grief as it took me on a wild, feral and untamed ride. 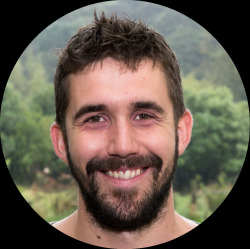 Sean Weaver is a social entrepreneur, ecological economist, and Zen teacher (Sensei) in the Diamond Sangha Zen lineage. His professional and Zen practice worlds intersect in wonderful ways in the pursuit of compassionate approaches to environmental protection, community economic development and climate change mitigation and adaptation. Sean and his wife, Jo Campbell, have developed a training form for compassionate environmental and social action that they call 'Ekodo'. Ekodo (ecological way) focuses on honing heart-mind skills in the assertive compassionate arts as Zen Ecology fusion. The point is to sharpen ourselves as agents of positive change, capable of cutting through conflict like a diamond, embodying and delivering transformative change for good. This is also a direct path in the ancient stream of self realisation, cultivated and nurtured in the Zen tradition, now flourishing in the West and commonly flavoured with environmental and social activism. Sean teaches Zen and Ekodo retreats and workshops - some residential, some not. Jo and Sean host 'Golden Bay Zen' - a weekly meditation group in Takaka. To find out more about Ekodo go to http://www.ekodo.org/. 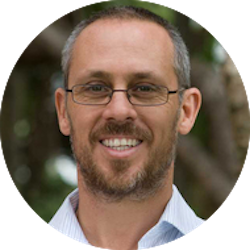 Sean is executive Director of Ekos - a social enterprise rainforest carbon boutique that supplies carbon neutrality and ethical carbon offsets from our own community-based rainforest carbon projects in NZ and the Pacific Islands. To find out more about Ekos go to http://www.ekos.org.nz/. "How do we integrate wisdom of our bodies, hearts and minds when we go out in the world and offer our koha/ unique gift?" is the question that inspires my personal practice as well as my work. I work with teams and communities to invite authentic connection in playful ways. With a background in Strategy and Organisational Change, I now facilitates Human Skills and design events at Enspiral Dev Academy. I also offer integrated wellbeing experiences, Yoga and facilitation as part of EHF New frontiers. Mindfulness for Change offers this unique space where I can explore and experiment with new ways of being, working and connecting to each other and the world. It's like fertile soil to me! and understanding mindfulness. After a successful career in the corporate HR world Jess decided to follow her passions. A qualified yoga and meditation instructor with a certificate in Life Coaching. Jess has trained in Buddhist meditation and mindfulness. Having lived, worked and volunteered in many countries with some inspirational people Jess draws her life experience into her work to share the principles of health and happiness. At thegoodregistry.com you can help good causes by setting up a charitable gift registry for yourself or buying Good Gift vouchers for others - so the giving is paid forward to good causes (with 50 charities to choose from). And if you want to help in any way, feel free to contact Christine anytime, christine@thegoodregistry.com. Founded by MfC’s Christine Langdon, The Good Registry promotes a more mindful way to give. It's about celebrating special occasions with more humanity and less stuff. The Good Registry is a website (thegoodregistry.com), and a movement for mindful giving (Facebook, Instagram and Twitter @Thegoodregistry). Article: Wamsler, C., Brossmann, J., Hendersson, H., Kristjansdottir, R., McDonald, C., Scarampi, P. (2018). Mindfulness in Sustainability Science, Practice, and Teaching. Sustainability Science, 13, pp. 143-162. We use a number of processes within Mindfulness for Change that we find very useful in systemic change work. These are not an exhaustive list, but we find that they tend to work well together, especially when woven together with the thread of mindful awareness. From Ego-System to Eco-System Economies. Theory U proposes that the quality of the results that we create in any kind of social system is a function of the quality of awareness, attention, or consciousness that the participants in the system operate from. You can read more about Theory U here and find out about the online ULab courses offered through MIT here. This Peter Block book is packed full of insights and distinctions gleaned from years of operating through community and small group practice as a vehicle of transformation. Here is a taster article of how the insights from Peter Block's work have fed into how we've done things in Mindfulness for Change. Fredrick Laloux's book documents organisations from all over the world in many different sectors, from profit to nonprofit, healthcare to manufacturing, who are pioneering a new way of operating in organisations characterised by the metaphor of a living organism. Laloux identifies three key patterns that these organisations share: self-management, wholeness, and emerging purpose, and outlines the processes and practices that support them. Social Labs is a method for tackling wicked complex problems such as climate change, poverty, and inequality. These wicked complex problems require interventions from multiple parts of the system, and demand a design thinking approach whereby interventions are run as experiments that are constantly iterated on, rather than designed in full and then implemented. Mindfulness for Change has similarities to how a social lab operates, seeking to build connections across people in diverse areas of society, from healthcare to education to business and government. We learn a lot from Te Ao (the world of) Māori in the mahi (work) that we do. We have found that while the word "mindfulness" is not commonly used in Te Ao Māori, the embodied process of it is weaved through everything that is done in traditional Māori culture and tikanga. We have found the practices of whakawhanaungatanga (the building of connections), manaakitanga (hosting in such a way as to raise your guest's mana or dignity), and kaitiakitanga (stewardship) particularly useful, and are constantly seeking to build links with Māori in what we do.